Download our corporate booklet and find out more about our premium medicine and our therapeutic areas. You also get information about the production of our products in Germany, our quality promise as well as the milestones of Denk Pharma and our corporate social responsibility. 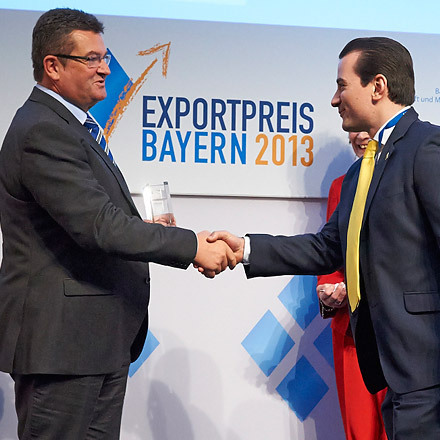 Denk Pharma is the winner of the Bavarian Export Prize 2013. The prize is assigned once a year by the Minister of Economy and the Bavarian Chamber of Industry and Commerce to honor bavarian companies, which are successful at foreign commerce.